Through most of our history, our ability to communicate has been a process of constant expansion as each new generation spreads further across the globe than the last. We witnessed a huge leap in the nineties when we were holding the channeling sessions to create the archives while the internet was still in its infancy. Even then we could sense its potential to create a virtual library of higher dimensional knowledge. Dial-up modems were a major way of connecting and everything that came after was a vast improvement. Imagine times when the written word was still in its infancy. Channeling sessions back then were called witchcraft and those who had such a gift either kept quiet about it or ended or in a bad way. Eventually, the ages of enlightenment and freedom of expression followed to bring us to our current day where high-speed connections are the norm. As our means of communication have evolved, so have we. What has been created in a sense is an organic global consciousness that connects all us through our computers, cell phones, smart devices, and social media profiles. There is an alternate version of almost everyone in some electronic form that could possibly interact with millions of other personalities daily. Like the title says, welcome to the new matrix. Unlike the movie “The Matrix”, the people in this matrix are not separate individuals following a program run by sentient machines. In this matrix, the individuals do their own programming through each of the decisions they make. At any second on a myriad of devices, someone can learn more about any subject they wish faster and with greater comprehensive information than has been available in any library ever built. Someone can take walking tours of major cities, explore sacred sites and experience a hundred different cultures in a day. As more and more information is made available, a smarter planet connected in ways unimaginable when Johannes Gutenberg was printing his first bible is the result. Along with a more informed planetary populace, influences on the spectrum both good and bad play a part in everyday lives. There is still outside programming apart from that which is independent but it is a freedom of choice to accept or reject that programming which is the difference. Money has held and still does hold power over the lives of almost everyone but above money is the power of words. Nearly all of the planet has a voice which it shares over a web covering every continent in which the flow of information is similar to a brain where millions of neurons are talking to each other over millions of synaptic connections. It is an interactive global community and it’s to the future we must look to find where all this potential may lead. The only way to try to see the future is to look at it from the past, in this case, the history of communication and its effects on consciousness. Our primitive ancestors had cave paintings to teach and record what they saw to pass on to their tribe. Before books, storytellers would entertain crowds with tales of brave deeds mixed in with a bit of history and moral virtues. When mass publication came along it was to private worlds a person’s mind could now journey through an author's words. The age of enlightenment was a shared experience through individual expressions of what the new learning brought. Throughout our written history, books have inspired flights of fancy, taught everyone from their earliest years and supplied libraries with inner worlds just waiting for someone to explore. Radio came along to kept imaginations engaged until the advent of the visual medium of television and the human consciousness changed yet once more. Predicting what is to come after looking at the rapid evolution of the internet is anybody's guess but it's possible the difference could be as great as a cave painting and the camera taking its picture. So once again the human consciousness takes another leap forward as more people are exposed to the rest of the world in this growing global mind. In analyzing what will happen consciously as that mind grows, we need to look at the factors happening in the world today. Similar to the changes to the global consciousness once books came on the scene, generations of the future will be visual beings enjoying advances in augmented reality and virtual reality we can see being made constantly. We are already experiencing a completely new shared consciousness forming in a matrix of electronic personalities. Parts of this emergent world consciousness can be seen with the "Me Too" or "Yellow Vest" movements. E-Sports is also an extension of those electronic personalities challenging one another while online dating is a bit more personal. That is just a taste of what the future will bring.  Into this visual universe developing, where do lightworkers fit where they can make a difference? As mentioned before, it is already happening in the virtual personas created to interact in this very real alternate universe. Anything anyone posts online will reach hundreds if not thousands of other virtual personas. Should that post go viral, it has the potential to reach hundreds of millions of virtual identities across the globe within hours if not days. The more people connect with one another, the more there is a desire to see things from a common view that we're all one virtually. That view should be a positive vibration of love and empathy that just needs to be encouraged on an individual basis whenever possible. Social courtesy should be reflected in our social media which will only bring on more of the same. No matter what the future holds at that point, we will find our virtual selves hold a power in this new matrix we are only just now starting to realize.